Preferably with 1-2 years related working experience. Must be computer literate - CAD, Ms Excel, & Ms Word. Pamir Development Sdn Bhd, is a company specializing in housing development, building construction and property development. No 1-3 Jalan USJ 21/3 UEP Subang Jaya 47630, Selangor. Agensi Pekerjaan Bon Sdn. Bhd. 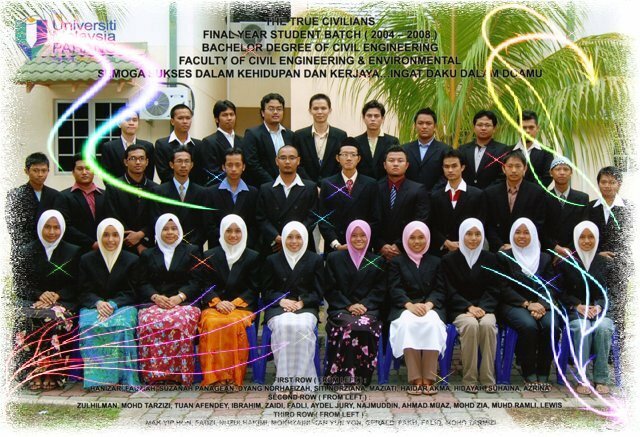 Possess Degree / Diploma/Certificate/SPM in Engineering with 1- 2 years related working experience. Responsible to supervise site, communicate with contractor and subordinate. Good interpersonal skills, good leadership and problem solving skills. Candidate must possess at least a Professional Certificate, Diploma, Advanced/Higher/Graduate Diploma, Bachelor's Degree, Post Graduate Diploma or Professional Degree in Engineering (Civil), Engineering (Electrical/Electronic), Engineering (Others), Architecture, Urban Studies/Town Planning or equivalent. Required skill(s): Site Visit, Site Supervision, Report. Preferred skill(s): Construction, Maincon, Subcon. Applicants must be willing to work in Kuala Lumpur,Petaling Jaya. *for sureveying camp, you need to download all the picture before you can extract it. huhu... minggu lepas ada lah buat gathering ckit dgn sapa2 yg duduk dekat kl. mintak maap kalau ada yg xtau... byk dah aku msg tp ramai yg xdpt, huhu.. semua dah bz.. aku post gambar2 arituh .. bulan depan ada lg. nanti aku inform kat cni.. rajin2 lah baca..